When I spotted Keep Em Quiet on Twitter I just had to get in contact with them. I knew that Lily would be having a upcoming long journey when moving and lots of time where she would be needing entertaining and so I thought that the Keep Em Quiet packs would be perfect for our move. Let me tell you all about Keep Em Quiet. 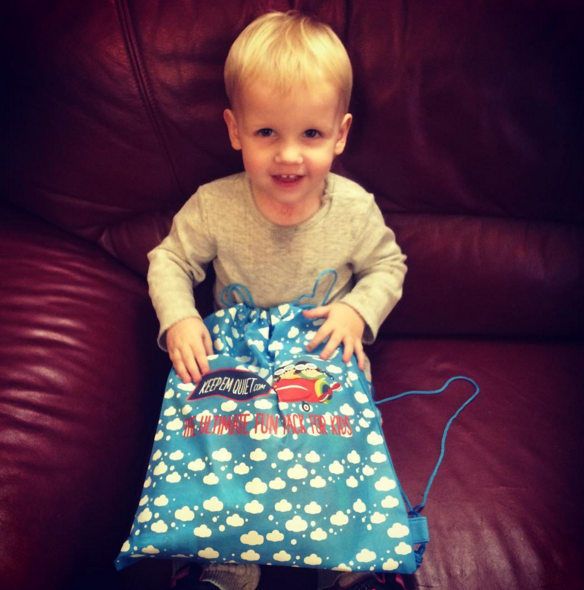 Keep Em Quiet is the place to go to get your ULTIMATE travel pack. 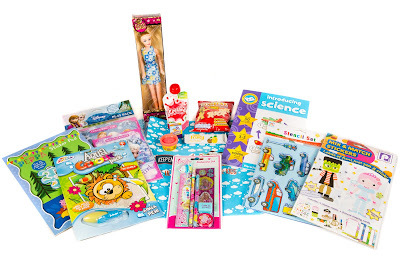 It is packed with super fun items that are bound to keep your children entertained on journeys, holidays or even round at grandparents house. The best bit about them is that the packs are all made up by a team of parents, and who knows what kids love better than people who have kids them selves. 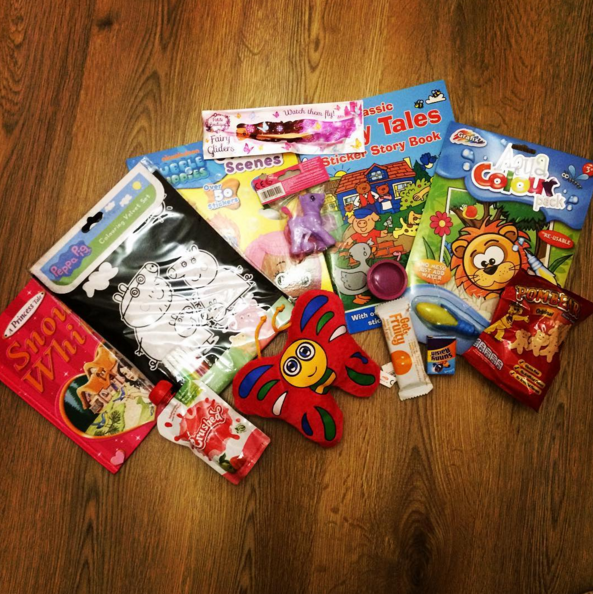 Keep Em Quiet sent us one of their travel packs for girls aged 2+. When it arrived I was really impressed with what was inside. I just knew Lily was going to love it all. The pack all came in a really nicely designed drawstring bag that children would just love to carry around with them. I felt that Lily was to little to carry it around on her back yet as with all the amazing things inside it would be to heavy for her, but she was really impressed to have her own bag of goodies. The pack really did come in handy for the move and we ended up using everything in it. Though not all at once. The first thing we used was the Fairy Glider Toy. It was the night before moving and we had so much to do. Lily was bored and wanting us to play with her and as much as we wanted to play we had to get the last bits packed up. So I pulled the glider out of the bag. Before I knew it Lily was running around the house with it going "meooooowwwwnnnn" (her plane noise). It really kept her entertained while we did the last few jobs. The next morning we had to get everything loaded into a van, as furniture was being moved around the place we had to try and keep Lily sat on the couch, and as most parents will know, that can be tricky for a 2 year old. So out came the sticker book. Lily loves stickers and its definetly one activity that will keep her nice and quiet. She happily sat with her Nan and did her stickers while we got most of the things out of the room. The next part was the journey. This was mainly where I was hoping to use the travel pack. We had a 5 hour long car journey to do and I knew Lily would get bored. I had the pack ready in the back of the car for her but actually we didn't end up getting to use it much. Firstly she slept for the first half of the journey. Which was great as a sleeping child is a happy child. But by the time she did wake up it had gotten dark and so she couldn't see anything to really be able to play with it. The only things she did get to use was the little pony that she happily walked along the side of her car seat and butterfly teddy that she cuddled. I would love to maybe see a special travel pack done by Keep Em Quiet for car journeys. Maybe put something in like a clipboard so they have something to rest on and draw and colour, and then maybe something that glows in the dark or a book with a little torch. But the travel pack was not lost. The next few days Lily would be spending days and nights at her Nans house and also spending some time at her Grandma's and Grandad's house. The travel pack was perfect for this as when heading out to their house we just grabbed the bag knowing that there were things perfect inside to keep her entertained. The snacks all got eaten up and one of the days we got the Peppa colouring velvet pictures out for her. Lily loved these as it was one of her favourite characters. Unfortunately the little felt tips that came inside barely worked and had seemed to have all dried up. Luckily we weren't on a journey and Nan had felt tips and so we could do the colouring. If we were on the journey then I may of had one very disappointed 2 year old if we couldn't of done any colouring in. I think a great way around this could be maybe to add a small back up pack of felt tips or crayons. Lily then had 2 days of being at her Grandparents for around 3 hours. The pack got its most use here. 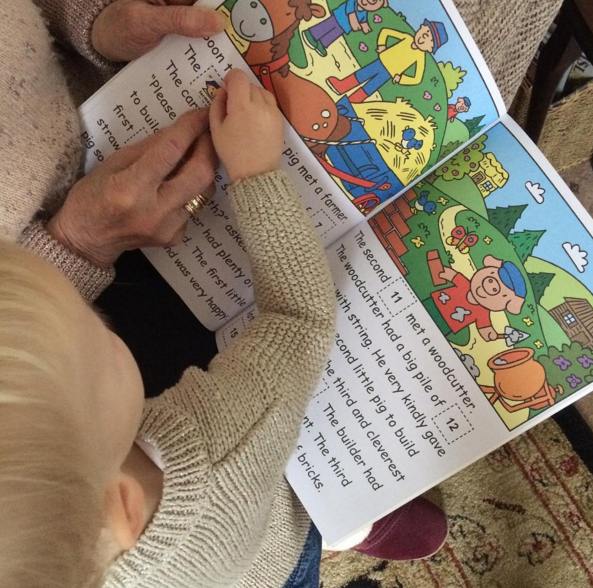 The story book got read, the teddy got played with, and Lily really loved doing the sticker story book with Grandma. We also got the paint with water set out here. But unfortunately the end of the little water paintbrush that you get with it broke and we couldn't use it. Again maybe something that can be popped into the bag along with this set is a little backup paintbrush that she could of dipped into water and painted with. Overall we loved the pack and I would definetly consider getting one to use again on future trips. A few things Lily would love to see in her pack would be puzzles, games, and even more colouring. Even simple paper and pens would keep Lily happy as she loves to draw. The packs come in 3 sizes and you can choose boys or girls. There is a short trip pack for £9.99, a Medium Trip for £12.99 and a Long Trip for £15.99. You can also choose an age range to the packs so the goodies are perfect for your little ones. If you would like to take a closer look at the packs then head over the the Keep Em Quiet Website to see more. I now have a competition to give one lucky winner a chance to win their child a Long Trip travel Pack. You will be able to choose the age and wether you want a boys or girls pack so items will vary to the image below. For your chance to win, Enter on the Gleam app. Good luck! On our family holiday to Florida in June. I'd use this when we have our long weekend away over Easter - plenty of travelling involved! We're taking a train from London to Edinburgh in May. This would be perfect to help occupy my 4 year old daughter. we are going away in summer to cornwall so this would be perfect! On the plane going to Rhodes this year with a one year old!!! I don't have any children but would love to win this prize for charity, to go to Romania. Except for the reading books, they would be donated locally. Great Idea, we need something like this for my daughter, we are off to Mexico in a May so it's along flight. when the kids are off school! We are off on a holiday to Mallorca soon, so one of these packs would be fantastic distration on the flight. On the trip to visit family in Devon. On our next long haul flight! My little boy's taking his first plane trip to Tenerife in June so this would be perfect. On holidays, on short breaks, weekends at Granny's etc. On trips to see Granny and for shorter journeys too! While travelling with my children. Anywhere really. I'd use this on the plane to Poland. We're travelling there for IVF treatment and this looks perfect for my son to distract him on the plane! Plane journey in the summer with a bit of an overlay in between. Would definitely come in handy then! My 3 year old grandson is going on his first flight with his mummy and daddy this year he is on the autism spectrum so this would be ideal. For us it would be good for long train or bus journeys. these would be great to get out on a wet afternoon when we have exhausted everything else. We have a long driving holiday coming up and I'd use it to keep my daughter entertained. When we go out for dinner, it would be great to keep our daughter entertained. This would be amazing for using when we go on our first family holiday abroad in the summer, to help keep our daughter amused during the long waits at the airport and on the plane. I would use it when my great-nieces and great-nephew go to Connecticut to see their Grandma and Grandpa. It's a long flight and they are soon bored. I'd use it on our trip to the seaside for my sons birthday in the summer. Would love to #win For my little girl. I love watching her learn to read and grow. this would be fab. Thanks so much for the chance. defintely for long car journeys!